I just love this photo of Suki and my friend Kendra. It was a difficult light to shoot in as the fog was coming in and it was late afternoon, almost dusk. We have two horses that are halter broke, Sweetie and Suki. Almost every Tuesday, Kendra and I work with them in the corral. This week we decided it would be a good idea to take them out into their area of freedom, 70 acres of meadow, and walk them around with the halter on. I realized that we need to get them use to us being with them in the wild area. In the future we plan to practice going up to them when they are not in the corral and try to halter them. This is in case one of them needed help while out in the meadow we would be able to halter them and take care of them there. 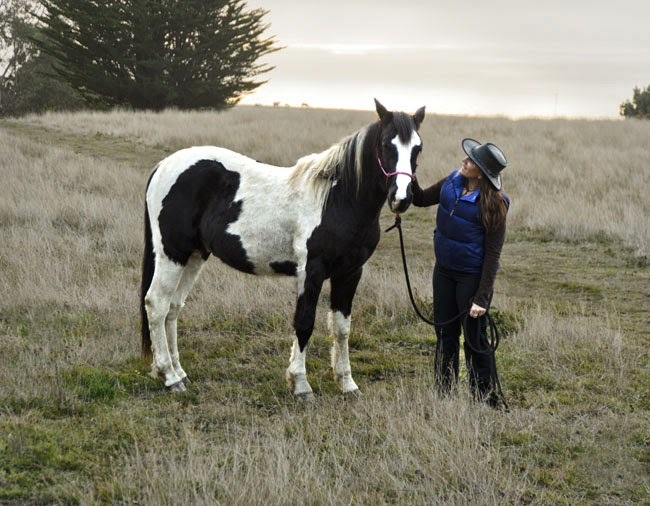 Of course it works better if there is only one horse free and so we will start with the other horses in the corral. 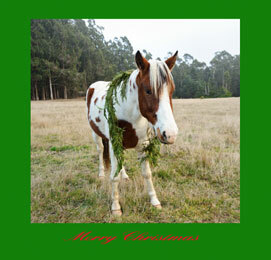 Sweetie is a dear horse and very co-operative and this is the first time he has had something on his back this heavy - the garland. He wasn't too sure about it but he did let me take some pictures. Happy Holidays to everyone and a wondrous New Year! 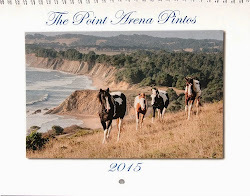 The Point Arena Pintos Book!!! 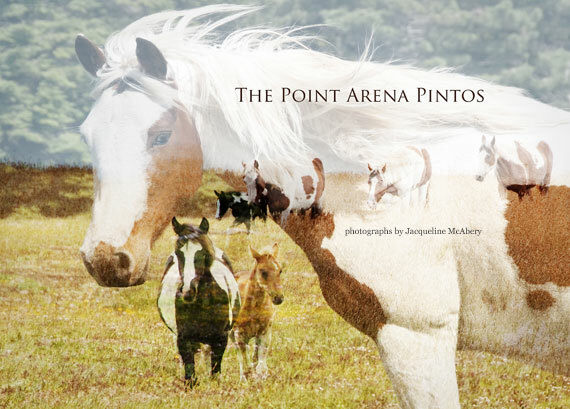 The pintos are very happy that I have published a book about them that consists of seventy four pages of photographs of them in their natural environment.